AUGUSTA, Ga. – Breakfast at the Masters can’t come soon enough. So get the pimento cheese sandwiches and coffee ready. Don’t forget something for all the heartburn – and all the heartache. The third round was so much fun that alarms across America will be set early Sunday – particularly out West – because no self-respecting golf fan would be caught sleeping for this one. Blame the weather for Masters officials moving tee times up nearly six hours and putting players in threesomes off two tees Sunday morning in a race against the storms rolling in. The decision is unprecedented in Masters history, but probably prudent because of the ominous forecast of wind and heavy thunderstorms late Sunday afternoon. 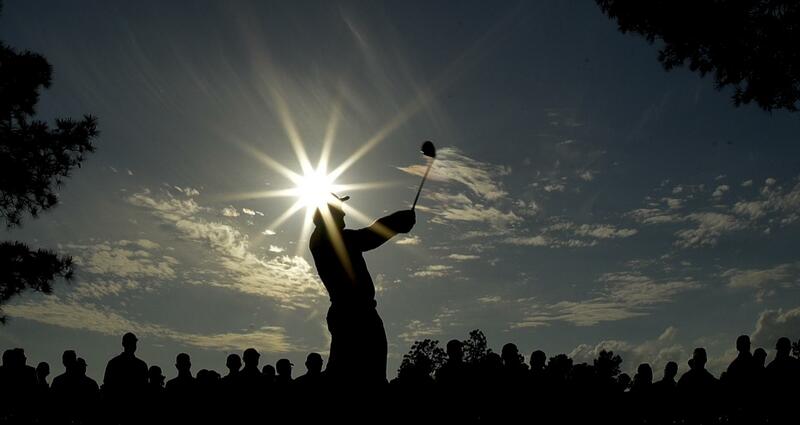 But blame Woods, if you must, for putting on the kind of show that everyone will be up to watch. He thrilled the crowd with a 67 in the third round as roars echoed across the back nine, and will tee off in the final group two shots behind Molinari. Woods has never won a major – and he’s won 14 of them – coming from behind to start the final round. And Molinari stared him down in the final round to win the British Open last year, so it’s not likely he will be easily intimidated. Neither will Tony Finau, the third member of the group. Finau doesn’t have the pedigree of his playing partners but he’s watched Woods and his steely determination since he was young and learned from it. Still, with the course there for the taking and threesomes off two different tees, chaos could ensue in a wild race to the final green. It could be anyone’s green jacket, from almost anywhere on the leaderboard. Let off the pedal for a moment, and five guys may race past. Saturday was entertaining even before the gaggle of leaders teed off on a steamy afternoon. Phil Mickelson made sure of that by making a video as he drove up Magnolia Lane laying out his game plan for the day. Unfortunately for Mickelson, a lot of other players had the same idea, except for the wearing black part. Attack was the key word of the day as players went after a golf course left without some of its best defenses from rains that softened it. Three players shot 8-under 64s, a shot off the course record and a record of its own that may stand for a long while. Finau was 6 under on the front nine alone, on the way to his 64. No wonder Ian Poulter could barely contain his smirk when asked if his mindset was to be aggressive in the final round. “No, I’m going to try and par every hole,” Poulter said. Whether Augusta National proves as gettable on Sunday as it was in the third round depends in large part on how windy it gets in the morning. But no one was planning to go to bed Saturday night with dreams of shooting even par. Woods says he will get up in the dark, 3:45 a.m. He needs that much time to prepare, even without a stop at the Waffle House. Others who might not need to stretch quite as much will sleep a little later. “I’m not working out this week so I’ve got nothing better to do in the morning,” Brooks Koepka said. Much of America can say the same thing. They’ll get up early, watch with their eggs and coffee or check their phones during church services to see if Woods can stay in the mix. It may not break his way. It may end up causing a lot of indigestion. But breakfast at the Masters will be must-see TV. Tim Dahlberg is a national sports columnist for The Associated Press. Write to him at tdahlberg(at)ap.org or on Twitter. Published: April 13, 2019, 5:39 p.m.